Photo by Mel Kleiman. Cornwall landing in winter. Photo by Mel Kleiman. Winter walk through Storm King Art Center. 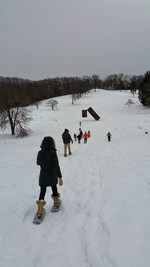 Mel Kleiman took these winter photos, a view of Cornwall Landing and a winter walk through Storm King Art Center.